​Nurses have a duty to put their personal views to one side. 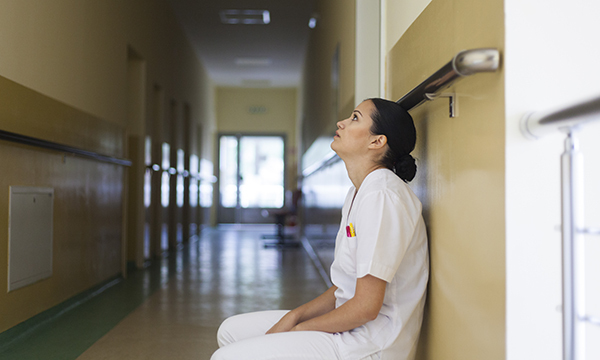 Here are some strategies to cope when you find yourself judging a patient or situation. While you may choose to share your views with friends, family and strangers – increasingly on social media these days – as a nurse you have a professional duty to put them to one side. The NMC Code says you must avoid making assumptions, recognise diversity and individual choice, and refrain from expressing your personal beliefs in an inappropriate way. Here we explore ways to cope when you are working with colleagues, patients or even organisations who have opposing views to your own. We all have our unique set of values and beliefs, values representing what is important to us. Your beliefs are what you hold to be true. These can be influenced by your upbringing and personal experiences, and both of those directly shape how you lead your life, often unconsciously. Throughout your career you will work with a huge variety of people. Inevitably through your nursing role you will be faced with people whose beliefs are in conflict to your own. While you do not need to accept such views you must learn how to adapt your behaviour so you develop what is called ‘cultural competence’ – the ability to treat all patients and colleagues with dignity, respect and fairness. While you may disagree with someone’s values you cannot act on those feelings. This is not always easy and requires self-awareness and honesty. Busy wards are challenging environments and strong reactions can be triggered in staff as well as patients. If you find yourself judging a patient or situation try to take a step back, even if it simply means taking a deep breath before you say anything. Sometimes saying a mantra in your head can help, such as ‘calm, calm, calm’. Choose your words carefully, as what you say can have a big impact. For example, asking a suicidal patient, ‘Are you thinking of doing anything stupid?’ suggests you are judging them. Be careful how you say something, as your tone of voice can express as much as the words you choose. Also be aware of your body language. Taking time to reflect on your thoughts and actions gives you the opportunity to identify your own beliefs as well as develop strategies to cope when faced with opposing views at work. Be brave and ask colleagues to comment on your ability to remain impartial and use this feedback constructively. The NMC Code now recognises that there are limited situations where nurses who have a conscientious objection can refuse to participate in treatment to terminate a pregnancy or a technological procedure to achieve conception In these situations you must alert a senior member of staff and arrange for another nurse to take over the responsibility of caring for the patient.